Congratulations to tour winner Kathy B. and to host winner Iron Canuck. 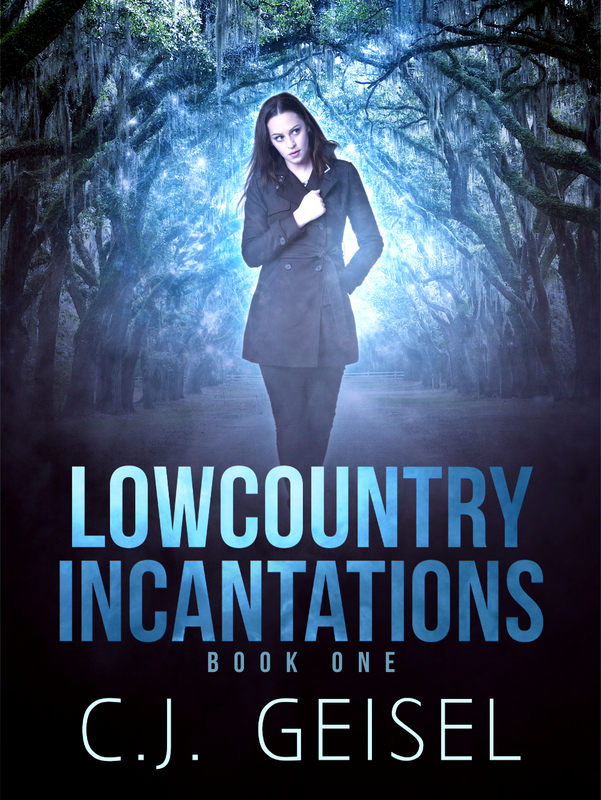 Goddess Fish Promotions is organizing a Virtual Book Blast Tour for Lowcountry Incantations by C.J. Geisel, a Paranormal Suspense available now. The Book Blast Tour will take place March 25 - 29, 2019. This tour will not include interviews or guest blogs; however, a blurb, excerpt and author bio will be provided to every host for inclusion on their blog. A PDF or ePub copy of the book is available for review. C.J. 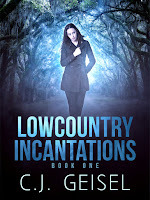 Geisel will be awarding a paperback copy of "Lowcountry Incantations" to a randomly drawn winner (U.S. Only) via rafflecopter during the tour, and a signed paperback copy of "Lowcountry Incantations" to a randomly drawn host (U.S. Only). Quinn Riley has just had her life turned upside-down. Life is about to get worse…and weird. After losing her job, Quinn Riley goes on the hunt for another boring, nine- to- five when a split- second decision to save a dog turns into a nightmare. The ghost of a stunning young woman in a blue dress starts to follow her, she is forced to move in with a stranger named Caleb, and events in her life have her questioning everything she thought she knew. With the help of Caleb, a new Psychologist turned friend, and a magical root doctor, she navigates the blessings and dangers of her new life.